Janet Dewart Bell is a social-justice activist with a doctorate in leadership and change from Antioch University. An award-winning television and radio producer, she founded the Derrick Bell Lecture on Race in American Society series at the New York University School of Law. 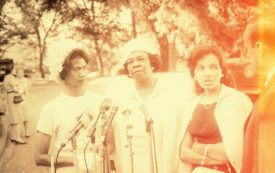 These women didn’t stand on ceremony; they accepted the risks of activism and fought for worlds where others might have freedoms that they themselves would never enjoy.